My best friend recommended using AC911 and she was so right. 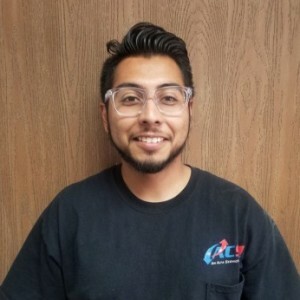 This is the first time using this service today and they were very helpful to me in setting this up and Deven who came out and did the check on my heating and air. Everyone has been so kind and thoughtful with me and I so appreciate. I now have a service to be seen ,2 times a year to ensure filter is changed and the machines are working. I will for sure use them again. This was my first job with AC911 based on my good friends recommendation. I am so thankful I contacted the company and they sent someone quickly.I had a service to review my air and heater, change my filter. Deven was great with me and explained everything along the way. 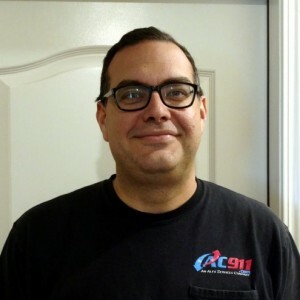 I felt great about my decision to do business with AC911 and would recommend them! Oze and company are amazing! Or heater was broken and the other HVAC complained we spoke to all suggested replacement the entire unit with quotes over $10,000. Oze came out to look and said we can just good one of the motors. Cost was under $1,000. We asked him to quote is for replacement the entire unit as well and he came in under the other quotes by quite a bit as well. HIGHLY RECOMMEND!! Got a next day appointment, which was awesome. Very kind & professional guy. Finished the job within 1/2 hour. I can't say enough good things about AC911. From the moment I started working with them, I felt like a VIP customer. Any time I messaged the owner Lindsay through the Yelp app, I received super quick responses from her and Sheri in the office. Between Lindsay, Sheri and the techs who worked on our furnace & AC, everyone was incredibly professional, courteous and literally bent over backwards to get the job done in a timely manner. I highly recommend AC911 to anyone on the hunt for a reputable AC company. They're now officially my go-to! Thank you AC911 for promptly coming out and determining that we needed a new AC. You had it ordered and installed within a few days. Eddie & Steve we're great, so informative, friendly and a pleasure to work with. Thank you AC911 for getting us up and running quick and giving us options to update our old dinosaur with a new unit and be able to hold off on having to redo duct work for now. Oze & Lindsay are great people, they are a community business and family that cares about the people they service. Thank you AC911 for taking care of my AC911 problem! They are the best. Prompt response and excellent service! I would highly recommend. We had a breakdown of our AC in the killer heat wave & made the call to Ac911. They hit us in the next day. The call was friendly & upfront, the tech was on time, he got our air going in minutes. We had a broken part that he supplied & installed. Our thermostat was old & 10 degrees off, so we had him replace. He was very helpful & made some excellent cost saving suggestions. We closed off some vents & only needed 1 filter. Def 5 star service & reasonably priced. Deven with AC911 was kind and thorough. He took the time to figure out the issue with my AC and got it up and running in a couple of hours! Great response time! I called yesterday and they had a technician at my home today at 7am. Moe was polite, on time, explained the scope of what he was doing and went over the pricing before doing it. I needed more refrigerant and a filter. I called another big name local company and was told that they were not doing maintenance appointments until 8/28. Highly recommend Moe and this company! Enjoying the cold air! 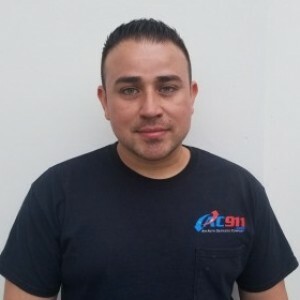 AC 911 has given us great service since the first time we called a couple years ago. They always have been very helpful, professional, and reliable. Our cooling systems needed to be fixed or replaced, and they were the right people to call. All the technicians/installers are very knowledgeable, timely, and polite. The new equipment is working very well. They were very kind putting a temporary small unit while the new system was shipped. However, they could have done a better job isolating that room to keep it cold, but it wasn’t a biggy. The crew put a lot of time installing our new AC unit and really cared about the work and what needed to be done. I also have a great experience with Sherrie, who takes the calls and schedule the visits. She’s been very helpful accommodating our schedule with theirs. Overall, I think this is a solid business, I’ll be calling them again when needed. I would gladly recommend AC 911! They have been out two times within a week. They have reasonable prices and told us what we should do next to fix the AC. We will be calling them again soon when we can do that. Thanks again AC911 for your great service. Although we hate having an issue, Sherri is always so nice to talk to and so helpful when we do. And your technicians pinpoint the issue quickly and help us figure out a solution that works. We are so lucky to have you in our community. And my dogs are happy to have air conditioning back in our house!!! 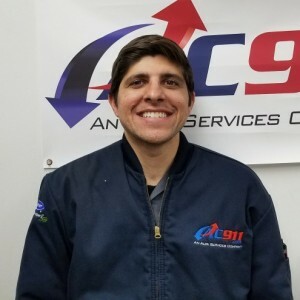 I highly, highly, highly recommend AC911!!! I have an older air conditioner and cannot replace it right now. 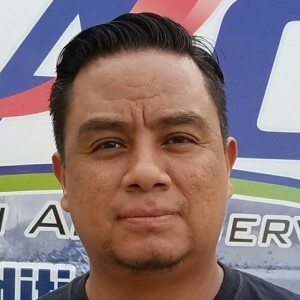 Ricardo was my service technician. He was friendly and extremely helpful. He checked my system and did not try to up sell me or try to get me to replace what I have. He did my service and was professional. I highly recommend AC911!! I will be a repeat customer. Thank you so much!